Give unique this holiday season because your friends and family are unique! Purchase a Gift Certificate for a stay at the Westby House Inn located in Westby Wisconsin. You will receive a double thank you; when they receive it and when they redeem it. The certificates can be used any time, all year round. You make no decisions on accommodations or dates, they choose the room or suite and the dates. Certificates are available in $100, $150, $200 or more denominations and can be ordered from our online system right-up to December 25th, just order and print the certificate. Phone orders can be taken through December 20th, and we will have the elves put it in the mail. 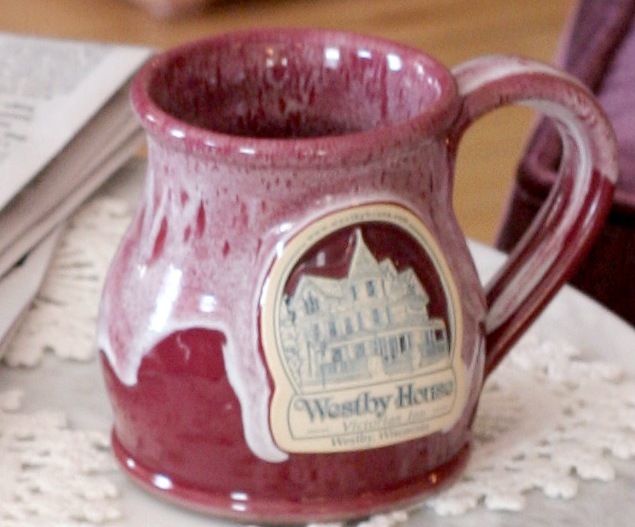 Shop our Westby House logo coffee mugs and wine glasses! They maybe a nice addition to your gift-giving.